Holidaymakers have been warned not to gamble with travel insurance, after figures showed medical claim costs rose by nearly 10% last year. Travelling overseas without adequate cover can cost thousands of pounds if things go wrong. Recent data from the Association of British Insurers revealed that the average cost of a claim for medical expenses increased to £1,022 in 2014. This contrasts sharply with the average cost of an annual travel insurance policy, which is just £32. The Foreign & Commonwealth Office (FCO) is now highlighting the risk of taking the 'Getaway Gamble' of travelling abroad without sufficient cover. 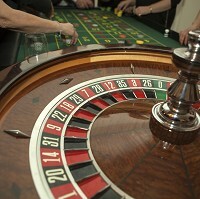 It has launched a new info-graphic in the form of a roulette wheel to encourage Britons to make travel insurance an essential part of their holiday preparation. This will give them peace of mind that they will be covered for the potentially high cost of medical treatment. It says that "rolling the dice and not hedging your bets" is no way to start or end a holiday, and asks "will you get back with your finances in the black, or return from the Med seriously in the red?". The average medical bill of £1,022 is the equivalent of a luxury cruise to the Caribbean. As part of the #TravelAware Twitter campaign, the FCO is urging travellers to make sure they have the correct level of insurance to cover all their needs and planned activities, and understand what could void their policy. Accidents that occur when someone has not taken reasonable care or consumed excessive amounts of alcohol may not be covered. Travellers may also not be able to make a claim if they have not been honest about their medical history.